Size: * 14 oz. 2 lb. 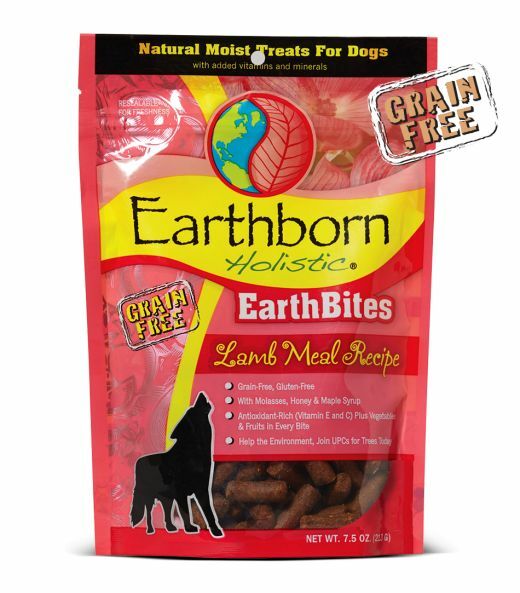 Earthborn Holistic® EarthBites™ Lamb Meal Recipe moist treats are a satisfying grain-free snack your dog can enjoy while still maintaining a healthy, active lifestyle. This antioxidant-rich formula contains high-quality lamb meal and a powerful blend of wholesome vegetables and fruits. Balanced Omega-6 and Omega-3 fatty acids help play a vital role in maintaining healthy skin and coat.